Selecting the right day trip or package tour is an important part of ensuring for an enjoyable holiday. To help your selection process all our Koh Phi Phi tours available below provide detailed information on itineraries, what to bring, plus tour image galleries. 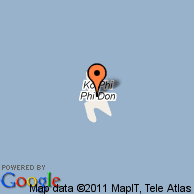 Instant online quotations are available for all tours in Koh Phi Phi. So before you even start the booking process you can see the exact costs involved, with no hidden extras.